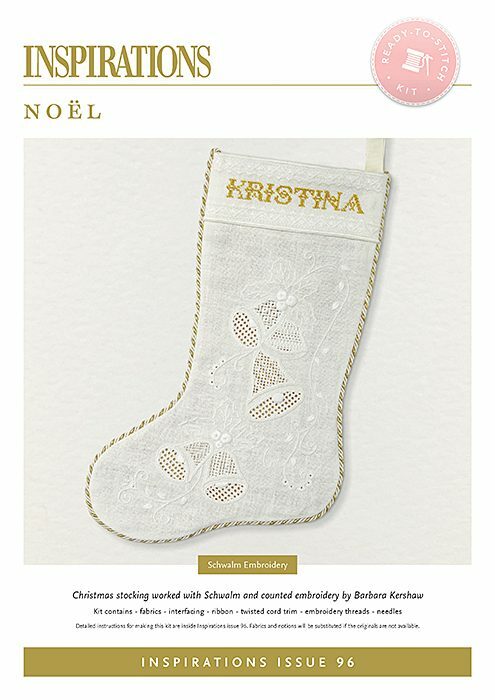 Superb whitework Christmas stocking with Schwalm embroidery. 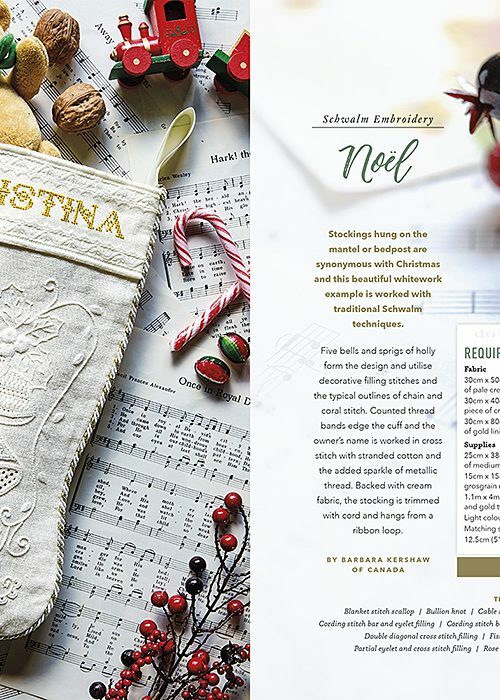 Stockings hung on the mantel or bedpost are synonymous with Christmas and this beautiful whitework example is worked with traditional Schwalm techniques. 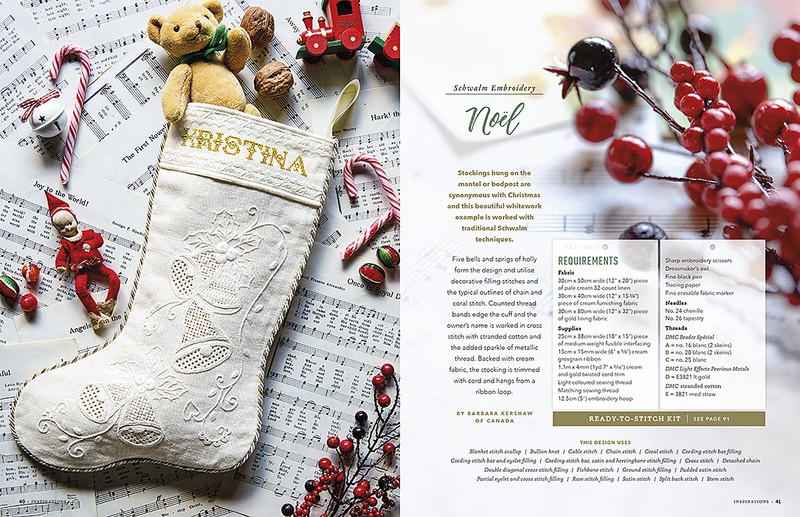 The instructions for this product are available within 'Inspirations Issue 96' and are not included with this product.